← 151. Ten Tips for Improving Your Concentration with the MIR-Method. You take your socks off and still see the tops of them in your legs. Really deeply etched into your skin. You can still see where your shoes sat on your feet. Your legs retain too much fluid. Or you have to take your ring off because it’s becoming too tight. Your body is not discharging enough. And when you drink something, it seems like you just swell up more and more. It can even mean a difference of an entire clothing size, depending on whether it is morning or evening. In the morning, it’ still ok, but as evening approaches, a larger clothing size becomes necessary. All on its own. You don’t have to do anything to cause it. If your body doesn’t drain fluid properly and it remains in your body, fluid accumulates, otherwise known as “oedema”. It’s very annoying because it can make breathing feel more difficult, you have more trouble moving and your legs can also feel heavy. And usually, you have less energy. The fluid can be found all over your body or only in certain parts of your body. You feet, for example, can swell, or only your ankles or your hands. In addition, these areas can feel stiff or even painful. And there is a clear difference in body weight between morning and evening. If you retain fluid for a long time (for weeks), it’s always good to visit your primary care physician. How does fluid retention develop? All kinds of things can cause fluid retention. It can be the result of not exercising enough or wearing clothes that are too tight, especially in the groin, causing restriction in your legs. Wearing underwear that is too tight or sitting too much can result in your legs not being able to drain enough fluid. Hormones can influence it, just before your menstruation, for example. Poorly functioning kidneys or heart can cause it, but in that case you will already have been to your primary care physician with other symptoms. In Chinese medicine, there is a link between the kidneys and fear. The more fear residing within you, the more stress your kidneys have to endure and they begin to not function properly. Do your kidneys a favor! Your kidneys are shaped like beans and are about the size of your fist. They can be found on the back of your abdomen. If you put your hands on the lowest ribs, that’s where your kidneys are, close to your spine. And… your kidneys should be your favorite organs! Together with your liver they regulate the cleansing of your blood of waste products. 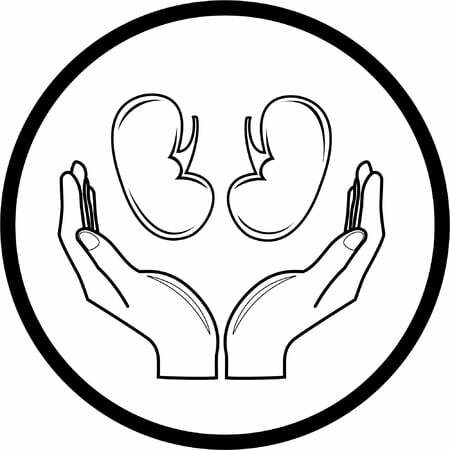 Your kidneys are, at the same time, both so important and so modest. They are in the back of your abdomen, inconspicuous and small, while they filter 180 liters (385 pints) of blood each day! Three hundred and eighty five pints! That’s 18 cleaning buckets full in one day! Unbelievable! So what if you don’t drink enough water? Too many waste products remain circulating in your blood, unnecessarily taxing your kidneys. You don’t want to do that to these hard workers, do you? 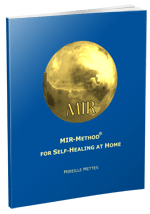 If you do the MIR-Method, you slowly but surely work on the source of fluid retention. Through step 4: ‘Clear meridians’, the adrenal glands work hard to let go of fears. 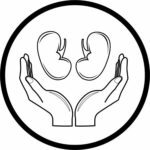 Fears that you had as a child and which give you a chronic feeling of insecurity, slowly lessen, through which kidney function improves. With step 5: ‘Supplement all shortages’, you work on supplementing your hormones. If there is a hormonal imbalance, this is brought into balance again by producing extra hormones to replenish those you have a shortage of. Through step 6: ‘Balance hormone system’, you work on improving the function of your hormonal organs, such as the hypothalamus, a part of your brain that regulates your feeling of thirst. When you feel your thirst better, you will drink more. All 9 steps work on providing you with more energy. And people who have more energy start moving more, simply because people have the need to do so. And by moving more, you assist your muscles with pushing the fluid to the places where it is cleansed and disposed of: your skin, your kidneys and your bladder. And how about you? Have you also noticed that you retain less fluid since doing the MIR-Method? That your feet and ankles are thinner again? That you have to pee more often? I’d love to hear about it! Please write about it below. Thank you! My wish for you is that you often make your kidneys happy! Hope Spring comes along soon, need a good walk. I tend to stay at home too much during Winter. result :swollen feet. Thank you so much for these interesting emails. The one on fluid retention was excellent timing as my husband has a swollen foot and I will suggest the MIR-Method to him which I do on a regular basis for my own issues and have seen very positive results. Thank you for letting me know! It is great to read when people can actually use the information I am writing! I hope your husband will want to do the MIR-Method. Hope it will bring him relief in his foot.